There is no other industry where with a little investment in time and money you can get started in your own business. Be part of the beauty industry, placing yourself at the heart of an industry in growth. A great opportunity to establish a regular customer base and income while working from home or a salon. You can do one of our set courses below or private 1-2-1 focused courses on request. Have you always had a passion for nails & wanted to learn more? Maybe you want to start your own business and work from home with clients? Or you might already have qualifications as a beautician, makeup artist or hairdresser and want to add to your services. 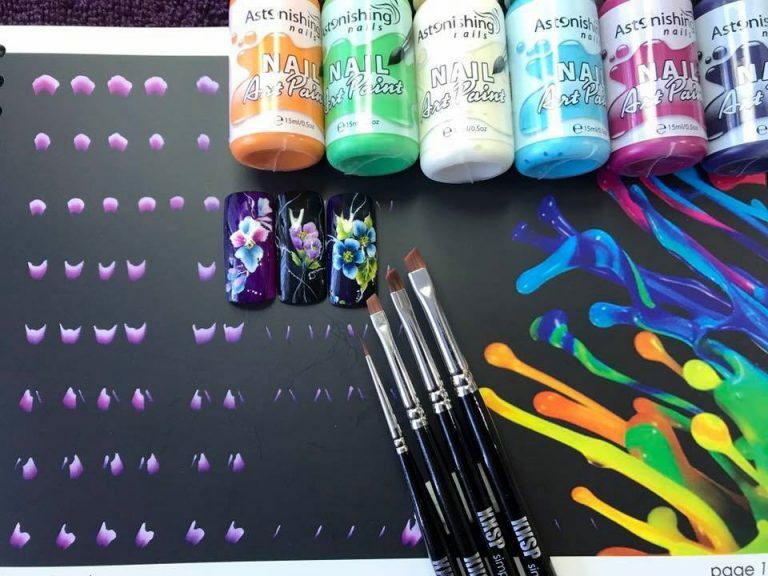 Our courses cover everything you need to know about amazing nail art techniques. We understand that for our students to get quality training it takes time, so we have structured our courses to teach you the technics so you can practice. “ perfection Takes Time” right. We believe in raising standards in our Industry. Don’t just learn, be confident & qualified to work on clients. A range of Art Technique Courses as a group or take a private 1 to 1 focused course with me. Google tells us that there are more than 10,000 searches a month in New Zealand for nails and nail services. You’re a nail tech who is passionate about what you do, which is why you are always striving to learn new skills and techniques. Nothing ignites that passion more than seeing a client bounce out the door excited about the latest look you have just given them. You produce beautiful nails with great colours, but there is always that extra touch that only nail art can achieve that will make them exquisite. Without “up-skilling” education, nail technicians can become stagnant and their work begins to lack excitement for your customers and you. Come and reignite that passion with a us.